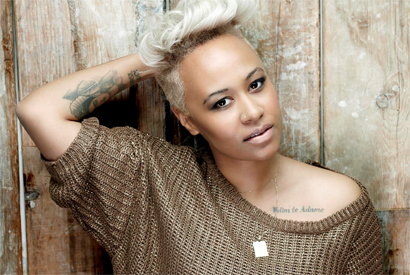 Emeli Sande’s ‘Our Version Of Events’ was the best-selling album of the year on iTunes according to the music download service. The singer, who is currently in the charts with her Labrinth duet, ‘Beneath Your Beautiful’ was thrilled upon hearing the news, “To hear that I'm iTunes' Artist of the Year and that ‘Our Version Of Events’ was the best-selling album on iTunes this year is just incredible! Thank you for all your support and making this year even more special." The Scottish singer has performed at both the Olympics and on the X Factor this year and has won a Critics Choice award at the Brits as well as a whopping three MOBO awards. Her singles ‘Next To Me’ and ‘Read All About It’ have received critical acclaim as well as high spots in the charts. Ed Sheeran's ‘+’ was the number two album, followed by Lana Del Rey's ‘Born To Die’, Adele's ‘21’ and ‘Now That's What I Call Music! 82’. Gotye's 'Somebody That I Used To Know' heads the list of the top selling singles, followed by Carly Rae Jepson's 'Call Me Maybe' and Fun's 'We Are Young'.